I love Japanese food, I can eat it almost every day. I love sushi, we usually get Tempura for an appetizer. 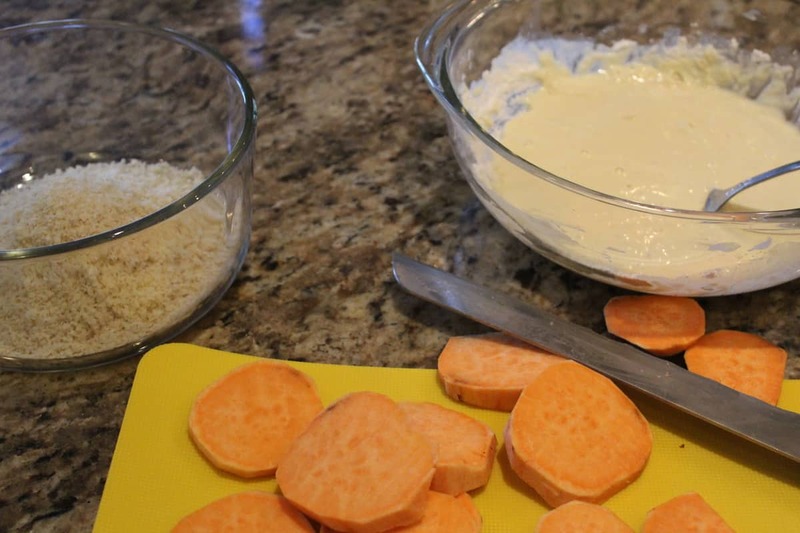 They are light and airy and they make an amazing snack. 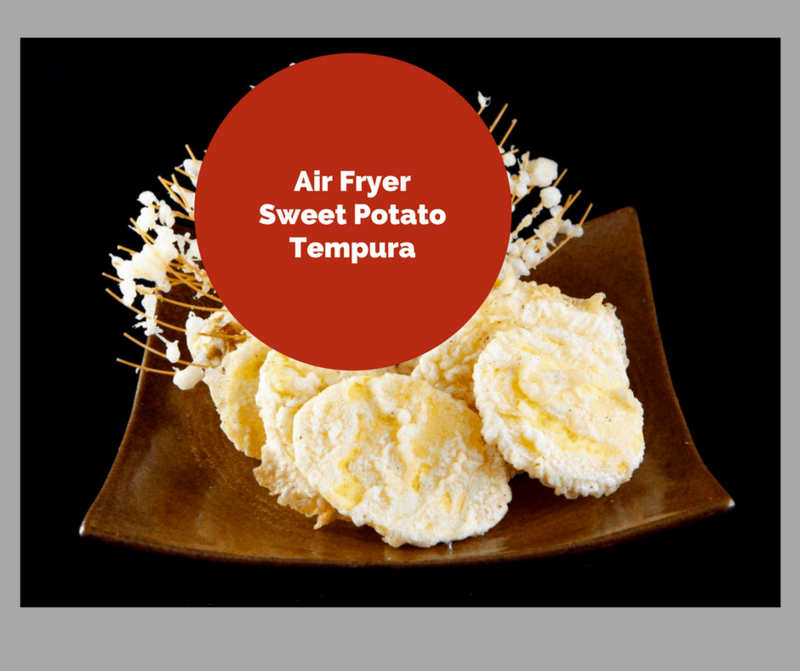 This is a base recipe for any tempura you want to make, today we are using sweet potatoes, but any vegetable will work. It’s also a great way to get the kids to eat their vegetables. 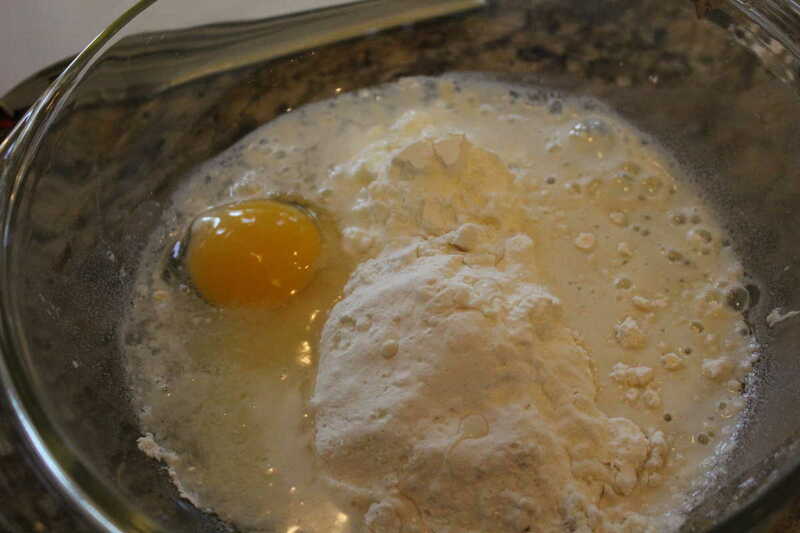 In a small mixing bowl, mix together the cornstarch, flour, egg and soda water. 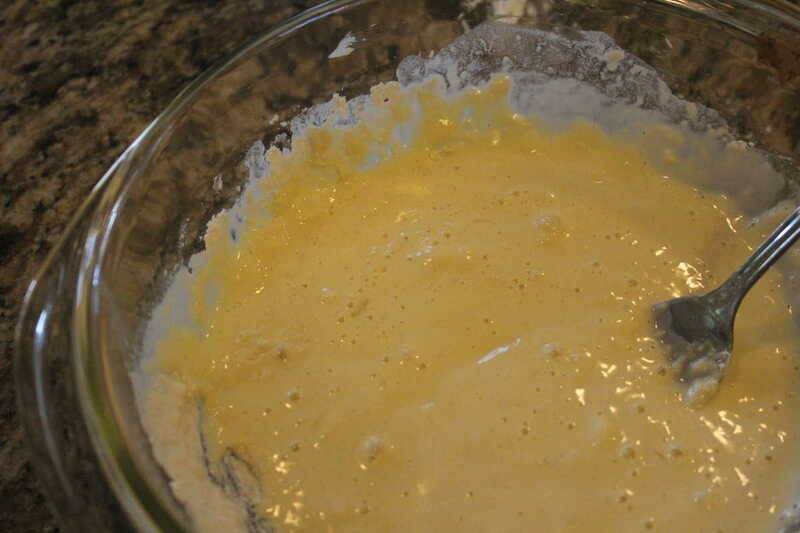 Then dip the sweet potato into the batter, shake off the extra batter. 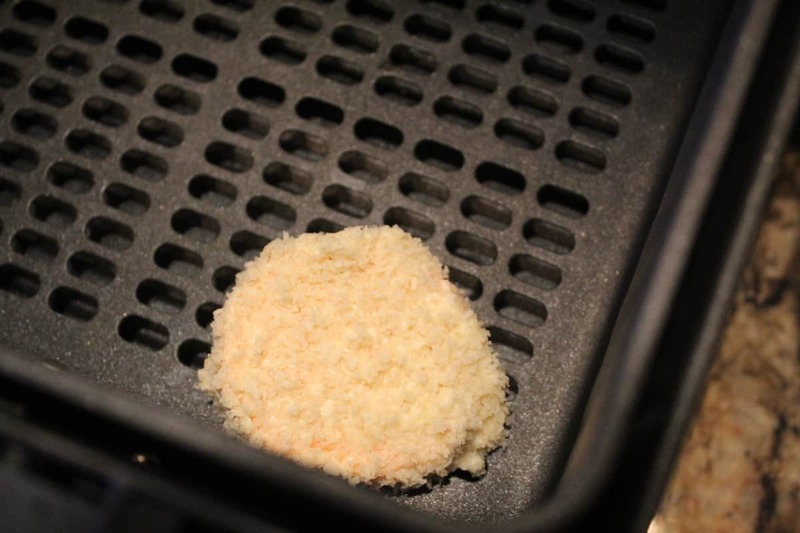 Then place it directly into the panko, coating all sides. 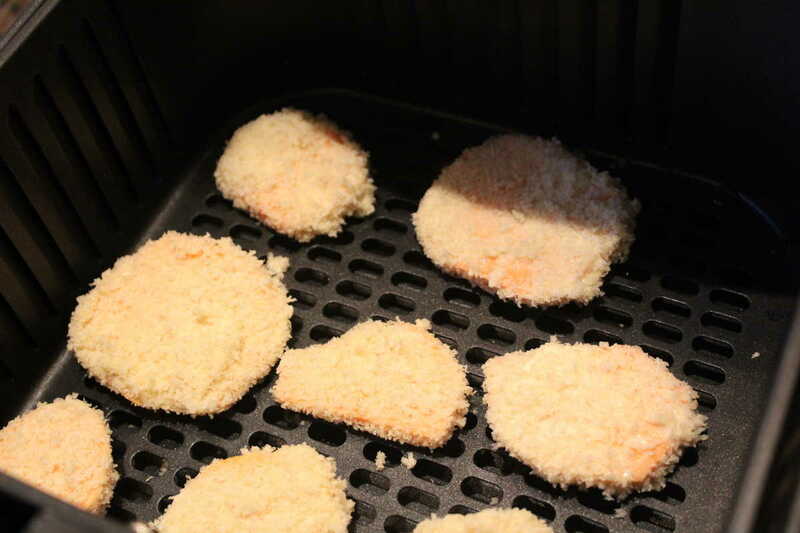 Put the completed sweet potatoes into the fryer basket and spray both sides with non-stick cooking spray. Cook at 400 degrees for 7 minutes.